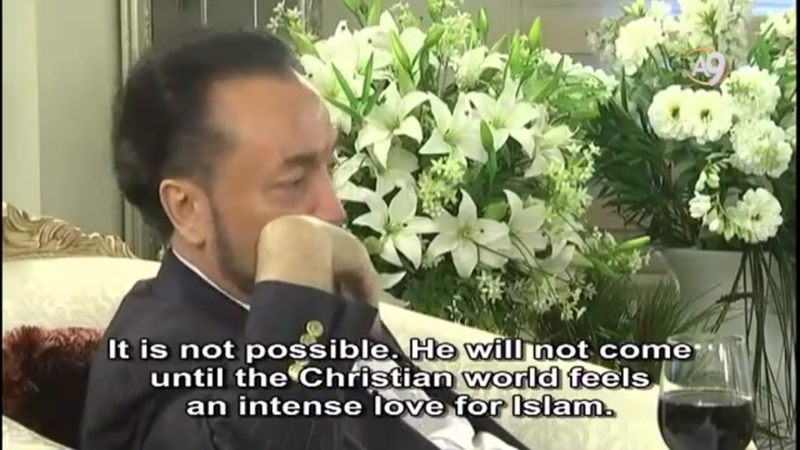 Prominent Islamic Evangelist Adnon Aktar Arrested In Turkey – I Am Not Ashamed Of The Gospel Of Christ! I have been aware of Adnon Aktar for several years. A few years ago he rose in the sights of Christians who followed prophecy. His kooky teachings raised eyebrows across prophecy circles. One prominent Christian Author, Joel Richardson, who wrote books like “The Mideast Beast”, interviewed him. (Watch here.) If you havent read Joel Richardson’s writings, now is the time. Back to Adnon, he always surrounded himself with blonde women scantily dressed, Some say he called them his kittens. Bizzarre! To say the least. He ascribed to some of the same teachings as the Shia Twelvers of Iran with a few strange twists. Strange because it was like Islam, peppered with truth from the Gospel but riddled with lies. One lie was that Christ was not crucified, He was protected by God. He said the Roman soldiers who searched for Christ to crucify him didnt find him. He taught that Jesus ascended into heaven as a light beam. And he will return to the Temple Mount with the Mahdi to pray. 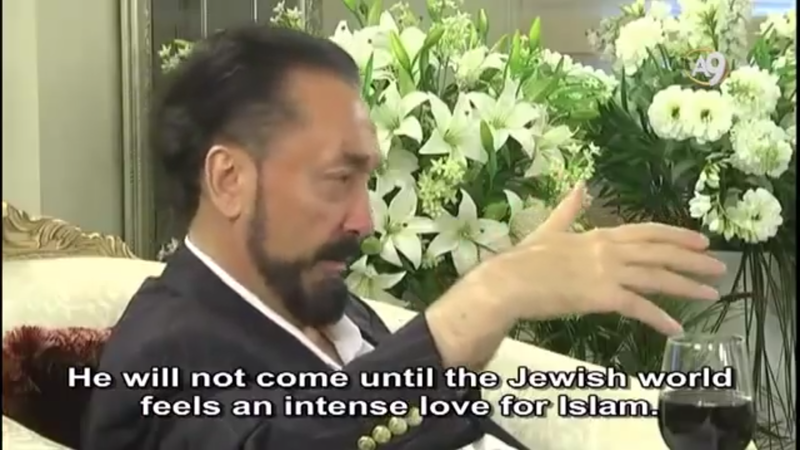 Only when Jews and Christians have embraced Islam. He says the Antichrist is atheism and communism. He taught that darwinism, and communism with materialism is the antichrist. And you what he may have a valid point there, as they play a huge role in the end times. He taught much deception, including the Ark of the Covenant returns to a rebuilt Temple, built by Islam with the Jews, and then sacrifices would be reinstated. This is where Jesus reappears. Hogwash. We know where Jesus appears, and we know how He returns and it is not in secret with only a prophet of Islam recognizing Him. He refers to Christ one minute as Prophet and the next as a messiah, but the Christ he refers to is not our Messiah and I will never recognize that. But sadly many Christians are swallowing this lie. 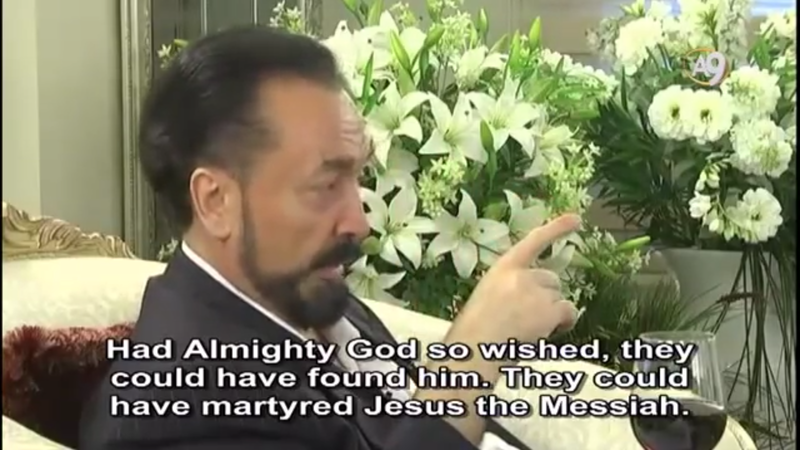 “Adnan Oktar was detained on Wednesday morning on suspicion of fraud, alongside more than 100 of his followers in a series of raids. 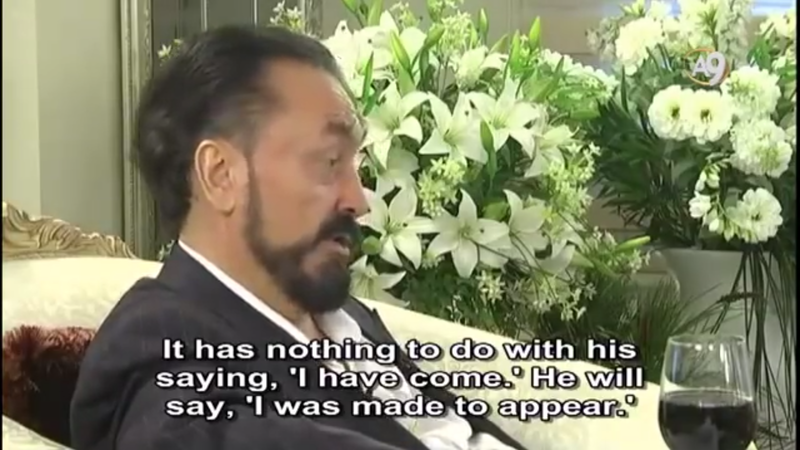 Turkey’s financial crimes police were behind the morning raids on Mr Oktar and his followers. They were arrested on suspicion of a litany of charges, including running a criminal organisation, tax offences, sexual abuse, and counter-terrorism laws. So it still bears watching. If for no other reason because of Turkey going after and squashing freedom of speech and freedom of expression. And remember Turkey is crossing into a dark path with Israel and wishes not only to destroy them but wants the Ottoman empire resurrected with them as the Caliphate. Soooo… again this bears watching. This is Christian Persecution!! Please Pray for All our Sisters and Brothers in Christ-Messiah Jesus-Yeshua!! “Pray Without Ceasing.” ( 1 Thessalonians 5:17 KJV )! !